Do you ever have days where you finish your meal and about 30 minutes later your bloated belly looks like you are 8 months pregnant? Unfortunately that happens to so many of us. Hence why Spanx is a multi-million dollar business. Sara definitely knew what she was doing when she created that business. Anyway, what if you do not want to wear Spanx all day long to hide your bloated belly? 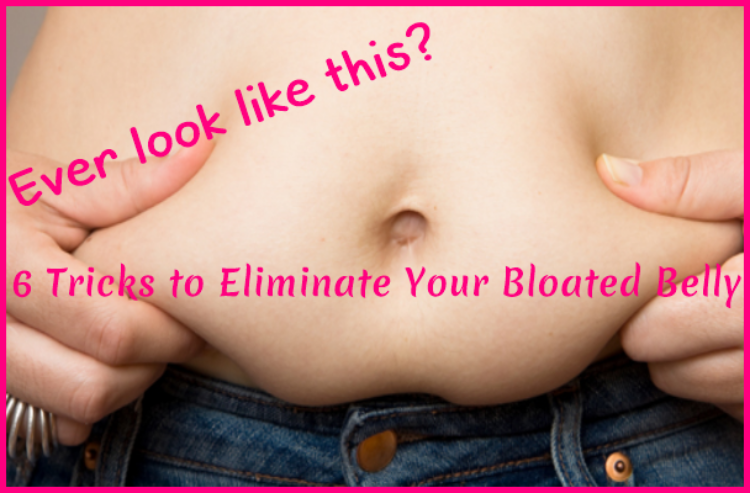 Are there other ways to eliminate your bloated belly, or are you stuck looking like you swallowed a watermelon, and feeling uncomfortable all day long? The answer is no, you are not stuck. A bloated belly is the result of a buildup of gas in your gastrointestinal tract and there are many things you can do to easily reduce and eventually eliminate your bloated belly. Things like medications, diet, diseases, and your environment can upset the balance of bacteria in your gut and if left unattended you could end up with too much bad bacteria and not enough good bacteria. Overtime too much bad bacteria can build up in your gut, bloat your belly, and leave you constipated. Probiotics are loaded with good bacteria which your gut definitely needs to be able to maintain a good balance of good bacteria and bad bacteria. Once you achieve a good balance your constipation will disappear and your stomach will look flatter. As well, probiotics build a healthy immune system which will in turn help to prevent you from catching a cold or the flu. Take a probiotic daily with one of your meals. If you find yourself feeling bloated, eat bananas in the morning. Bananas are high in potassium and easy to eat, even on the run. The potassium in bananas acts as a natural diuretic and helps to flush out the excess water weight you are carrying in your belly. Make sure to eat something with ginger to prevent yourself from developing a bloated belly. Ginger settles your stomach and improves your digestion. There are so many foods that cause your belly to bloat. While I believe everyone needs to experiment with their diet to see which foods bother them and which foods do not, here is a list to help you get started. Yes, you should always be drinking lots of water throughout the day, but another way to prevent your belly from bloating due to excess stomach gas, is to have a nice cup of hot herbal, caffeine-free peppermint tea about 10 minutes after your meal. The peppermint will settle your digestive system and quickly prevent gas pain and cramps. Do you love pineapple? We do. If you experience discomfort and bloating around your midsection, eat a half a cup of fresh pineapple chunks every day. The enzyme known as bromelain will aid in digestion and help push the food through your system so that it won’t get stuck in your gut. We all want a flat stomach and it only makes sense that the less food and gas we allow to build up and get stuck in our belly the better chance we have of eliminating a bloated belly.